You need to make these right now and all summer long. It is too damn hot to turn on your oven. 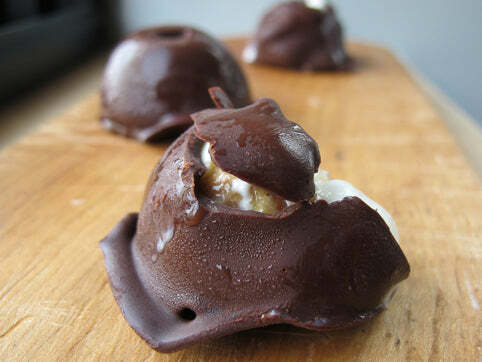 And, I mean…homemade ice cream bonbons. Yes. Always yes to ice cream bonbons. I am THAT person. I am on my couch, watching TV (Veep over and over), eating bonbons. Air-conditioning is blasting. Forgive me, but this is my summer pastime. Guests coming over for dinner? 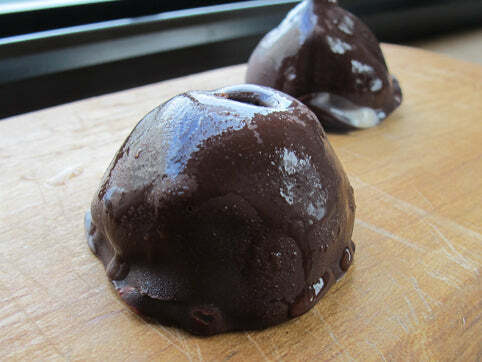 Make these ice cream bonbons. Movie date night? 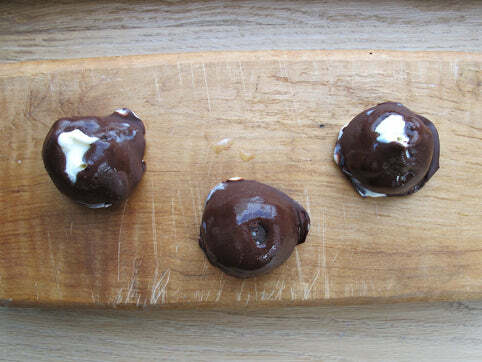 Make these ice cream bonbons. Severely depressed and need a pick me up? 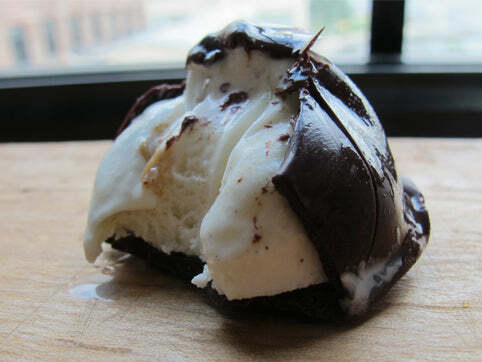 Make these ice cream bonbons and watch Veep. These are VERY easy to make, but you will need to allow for “freezing” time. Here we go: First, grab a pint of ice cream or make your own. Allow it to soften slightly (about 8-10 minutes out of the refrigerator). 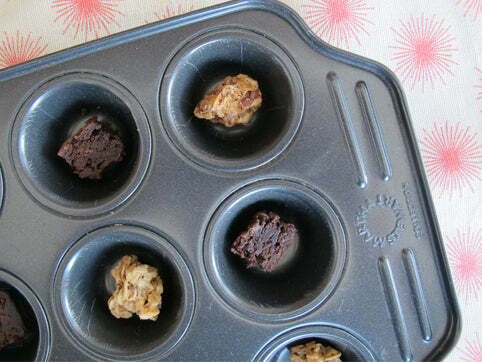 Then locate a mini-muffin/cupcake tin and add a tiny piece of brownie, or a chunk of granola to the bottom (or don’t add anything if you like). Scoop out some ice cream, plop it in the receptacle (on top of the granola or brownie or whatever else you might or might not place on the bottom), and use your fingers or the back of the spoon to even out the ice cream so it is almost even with the top rim. Cover lightly with a sheet of parchment and freeze for 2 hours. Once the ice cream is completely frozen, working quickly, use a spoon to release the ice cream forms from the pan. Place on a parchment covered plate or half sheet pan and place directly in the freezer for another hour. At the hour mark, throw together your magic shell enrobing chocolate. There are, quite literally, a thousand variations on homemade Magic Shell. And there is an awesome run down of the chocolate to coconut oil proportions here. Place the chocolate in a 2-cup glass measuring cup (or other microwave safe dish – but make sure it is deep with a decently wide-mouth). Heat the chocolate in the microwave in short 20 to 30 second bursts at 50% power. Stir the mixture gently between heating. Once smooth (about 4 solid bursts in the microwave should do it), add the coconut oil and stir into the chocolate until smooth. Pop the glass back in the microwave and heat for 5 seconds. Stir and set aside. Line a half sheet pan or large plate with parchment. Remove the formed ice cream from the freezer and working very quickly, place the flat side of one formed ice cream on a large spoon. Lower the bonbon into the chocolate mixture. Use ANOTHER smaller spoon to bring the chocolate up and over the bonbon (i.e. spoon it over) to coat the ice cream completely. Remove the bonbon quickly (let some excess chocolate fall off) and place on the prepared sheet. 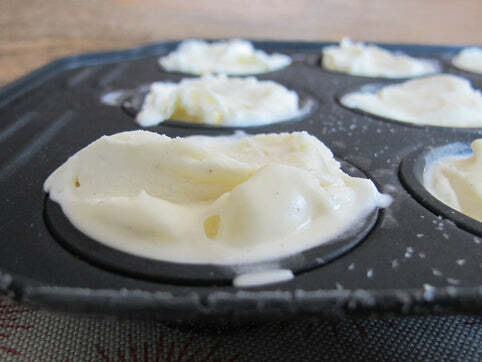 Once all the ice cream balls have been dipped, freeze the entire plate or half-sheet pan for 15 minutes before serving. You can make these a day ahead, but cover or place in a plastic container after freezing for 15 minutes. *Note: I find it easier to work with the chocolate dip when it is slightly warm as opposed to room temp.